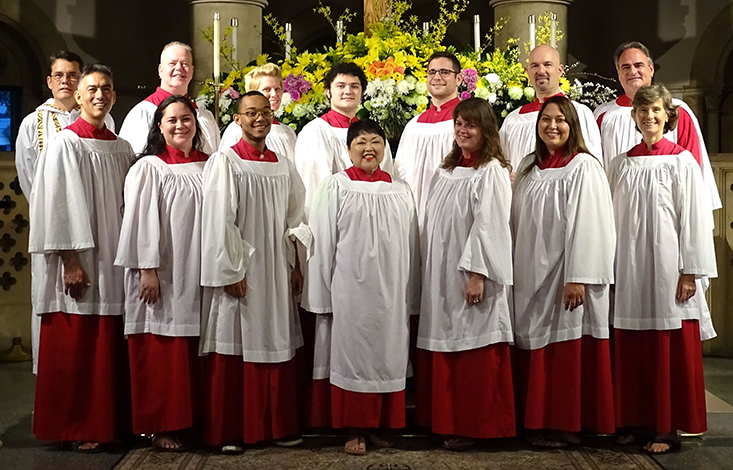 April 7, 10:30 am Eucharist: the HPU International vocal ensemble guest choir joins the Cathedral Choir with excerpts from Gabriel Faure’s Requiem. April 13, Palm Sunday, 10:30 am Eucharist: Cathedral Choir sings “The Approach to Calvary: Fling Wide the Gates” from Sir John Stainer’s oratorio The Crucifixion. April 19, Good Friday Liturgy, 12:00 noon: Cathedral Choir sings the Passion According to St. John in the traditional plainchant setting and “The Appeal of the Crucified” from Sir John Stainer’s oratorio The Crucifixion. April 21, Easter Sunday, 8:00 am and 10:30 am Eucharists: Cathedral Choir sings “Alleluia” by Randall Thompson. April 24, 7:30 pm: The HPU Chorale Orchestra and the Windward Choral Society perform Requiem by Gabriel Faure plus a variety of choral arrangements.